Fewer band-break-ups had broken more hearts around the world than Guns N’ Roses’ infamous split back in 1996. It wasn’t surprising when it happened. There was no denying that back in the day, they were the most combustible band in the world – a boiling concoction of rag-tag junkies, contraband substances, and one massive ego, barely held together by a brand of music that was almost as lethal and explosive as they were themselves. The split was therefore completely understandable. The fact that Axl Rose and Slash, arguably the most iconic on-stage pairing of the time would never be seen on the same stage again, caused many a tear to be shed. The story of Gn’R became this almost poetic narrative of the life of a rock n roll band that had risen from anonymity, exploded on to the global stage as an almost overnight success, and then imploded as spectacularly within a very short span of time. Of course, the name Gn’R would continue to live on, and Axl would continue to perform with his new band members till as late as 2011 – but for all practical purposes, the real Guns N’ Roses – would be history. Given the bitterness of the split, and the rancor that existed between Axl and the rest, a reunion seemed impossible. Thus when the tour did get underway, it was fitting that Top Five Records would be there to attend one of the concerts. Thus, on a warmish summer evening in New Jersey, I found myself perched atop a seat in the massive MetLife Stadium – a stadium of a size that truly reflected the immensity of the act that was about to unfold. The opening artist of the night, Lenny Kravitz got the music underway with his brand of R&B and soul, and played out an entertaining one hour set. But it wasn’t going to be until late in the night that the crowd would get a glimpse of those who they had really come to see. It started out with a recorded version of the Looney Tunes theme (that has become a staple in this tour), and then yet another recorded track – Harry Gregson-Williams’ The Equalizer, which eventually transitioned into the first song on their set-list – It’s So Easy – as the crew exploded on the stage in a dramatic manner. The collective cheer that erupted around the stadium was quite unlike any audience I had heard in my life. These were people – almost rabid fans – who had waited for two decades to see one of the most iconic groups perform live, and here they were being treated to just that. The set list that followed would have left no fan unsatisfied. In all fairness, their discography isn’t really massive – just the four “classic” albums – that had catapulted them up billboards around the world, and then a fifth in 2007. And the concert was thus, nothing short of a tour-de-force, that explored their entire oeuvre right from their legendary debut Appetite For Destruction, through the epic double Use Your Illusion, a smattering of covers, and some select numbers from Chinese Democracy. It’s So Easy was followed by one of their more groovier songs – Mr Brownstone. The title track from Chinese Democracy came next, and then they embarked on one of their biggest hits Welcome To The Jungle, the same song that had announced their arrival to the world back in 1987. The moment when Axl screamed “Do you know where the f*** you are? You’re in a jungle baby. Time to die!” will perhaps live on in my memory for the rest of my life. That, followed by Slash’s instantly recognizable riffs set the stage for what would be one of the greatest performances that evening. Axl dispelled all doubts about his vocal prowess that some fans might have harboured, given his age. His voice reached the same raspy zeniths as it did plummet the lowest of depths with great aplomb. Coupled with his electrifying on-stage presence it not just a memorable act, but one that also felt visceral. Slash, with his iconic Les Paul and his even more iconic swagger kept the riffs flowing effortlessly. Hit after hit followed – from the outrightly dirty Double Talkin’ Jive to the more mellow Live and Let Die and everything in between. They did all of their classics including Estranged, Civil War, Sweet Child O’ Mine (of course), and the author’s personal favourite, November Rain. November Rain saw Axl take his seat at the piano, and the recreation of what is arguably one of the greatest rock-ballads ever written left nothing to be desired. The emotion in Slash’s solos was palpable – one could almost taste it in the air. Of the various covers they did that evening, the guitar-only cover of Wish You Were Here stood out. For that, Slash was joined by Richard Fortus, and the pair constructed an absolutely ethereal guitar duet of the Pink Floyd classic. Other covers in the main setlist included the Love theme from the Godfather, and Knockin’ On Heaven’s Door, which Axl urged the entire stadium to sing along with him to. Finally when they concluded with one of their all-time classics – Nighttrain – the 55000 strong audience wouldn’t be silent – just yet. Thus, when the band returned on the stage for the encore, the applause that greeted them back, was absolutely deafening. The encore consisted of one of their most soulful, acoustic, and soft numbers – Patience, which got the whole crowd singing along. This was followed by a very entertaining cover of The Seeker, and for the final act of the day the band put together a rendition of one of their most loved hits – and an absolute classic of the “stadium rock” genre – Paradise City. The anthemic chorus got the crowd worked up in a frenzy, and Slash’s dizzyingly fast riffs enraptured the fans. Coupled with a spectacular show of fireworks, Paradise City left many indelible marks on thousands of minds that night. It was well past midnight when we made our way out of the stadium, but the memories that we had gathered that night weren’t ones that would fade away any time soon. In the history of music in general, and rock in particular, there appear these flashes – flashes that hold great promise, but then fade away. Guns N’ Roses is one such flash. One can only imagine the contribution they could have made to music had they not had broken up, had they not gone on a 20 year hiatus from making great music together. But then again, it is the very nature of being a flash, that makes flashes, so very special. Their fleeting nature is much like that of a shooting star in the sky, that you enjoy only while it lasts, and then feel lucky to have caught a glimpse of while it lasted. In the case of Guns N’ Roses, the shooting star decided to make a comeback, and what a phenomenal comeback it was. Photos and text by Subhayan Mukerjee. Follow him on Twitter @wrahool. As far as shows in Bangalore go, seeing Your Chin at The Humming Tree is not bad. Your Chin is essentially royalty in the Indian indie scene and The Humming Tree is the one of the few major concert venues that Bangalore has to offer. It’s just a shame that both disappointed. The Humming Tree has a problem. People interested in the show, people who know Your Chin and like his music, skipped this show simply because of the venue. It’s crowded, it’s expensive and it’s shaped completely wrong. The Humming Tree gives the impression of a minor bar that puts up shows simply to differentiate itself. It is not designed for people to listen to live music and doesn’t give the impression that it’s particularly enthusiastic about the fact that people do. It exists less for the show and more for the Instagram updates of the day after. And yet, The Humming Tree performs a very important function. India has a lot of very literate people making contemporary culture. Like everything else, Indian indie music is just waiting for the one breakout success to give credibility to the others. The fact that music is doing so much better than the other fields is in part thanks to places like The Humming Tree. It is fantastic that there are places that I can go to see my favorite Indian bands, and it’s necessary for there to be a place where I can interact with my favorite musicians. The problem is that The Humming Tree is not a satisfactory place to go for the music – it is just the place where the music happens. The opening act was actually very good. They ran some very clever music that put down excellent foundations and then chopped the weirdest interludes into them. They played like a stranger, more interesting SOHN. Their performance was possibly a little rougher than it should have been, and a couple of songs would have benefited from some refinement with fresh ears, but it was still an excellent act. The venue failed them a bit, as their lights were atrocious and Your Chin’s set-up took up much of their stage, but they nevertheless had a great live presence. They were just fun to watch and fun to listen to. I’m definitely going to check them out again when they are next in Bangalore. I actually really like the new Your Chin EP, Peeping Till It’s Noise. It’s light-hearted, it’s energetic and it just makes your day better. It could be a little smarter and slightly more varied, but it is still just fun to listen to. This is also true live, just far less so. Raxit Tewari just had no stage presence. His low-energy, laid back demeanor on stage did nothing to help his music. His visuals helped, but were overall unimpressive. Contrast him with Broken Bells or with The Postal Service, both of whom had highly energetic shows that really helped make the experience. No matter how fun the music, if the singer doesn’t involve himself with the show, it’s hard for the listeners to have fun as well. Additionally, his music was far too repetitive and took no advantage of being live to become varied. Part of the point of a live concert is that, as a listener, you can focus on the music. It’s then incumbent on the artist to hold up their end of that deal and reward your focus. The best concerts have their music step up, but failing that, the artist must. Swaying slightly back and forth just does not make for a compelling show. Peeping Till It’s Noise is a fun EP and I highly recommend that you check it out. It’s free to listen to on Soundcloud and is just good, solid electro-pop. It’s absolutely the perfect thing to put on while taking some time to relax. It’s just not worth going to see live. Traditional Irish is probably not a genre of music that I am very well acquainted with. Far from it, in fact – it’s a style of music that I’d honestly never heard before. But then, last weekend, I had the opportunity to go for such a concert, and given my propensity to explore newer styles and genres, I decided to make full use of it. 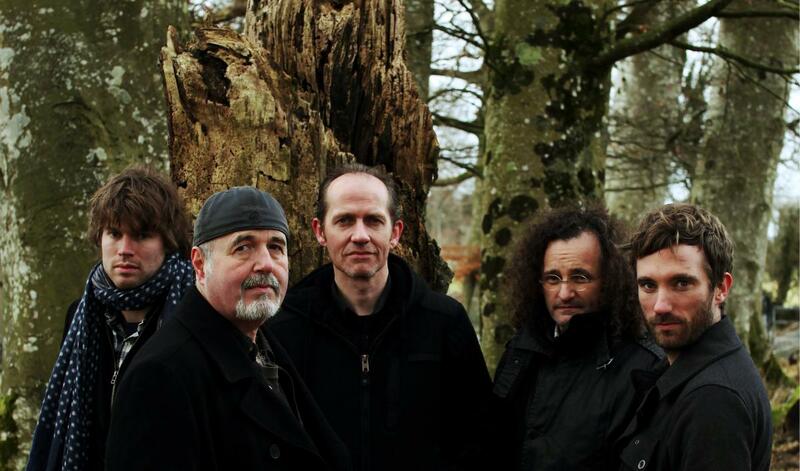 The Gloaming was formed in 2011 by an eclectic group of musicians who having already established themselves in their individuals careers, had decided to experiment with stretching the limits of traditional Irish music and presenting it to a wider audience. They are a five-man ensemble comprising of fiddle master Martin Hayes, guitarist Dennis Cahill, singer Iarla Ó , Lionáird, viola/hardanger innovator Caoimhin Ó Raghallaigh and New York pianist Thomas Bartlett. As I mentioned, I am a complete stranger to traditional Irish music, but the manner in which they melded Irish tunes into a rather contemporary arrangement was indeed commendable. The vocalist was a master of the classical sean-nós a-cappella song style, and his powerful, soaring vocals blended beautifully with the viola, the fiddle and the piano. Their lyrics, often haunting and emotionally charged, are drawn from old Irish literature and folklore. Hayes’ and Ó Raghallaigh’s mastery with the strings made for some delightful improvisations while Bartlett’s impassioned piano performance meant that he got so absorbed in his playing, that he managed to break the foot pedal twice in a frenzied bout of foot-stomping. The consummate ease with which he managed to repair it, during the performance was worthy of admiration as well. The concert was definitely an ear-opener to a style of music that I had never been exposed to before. Here’s a glimpse into their rich melodic oeuvre.